Our love for animals is bigger than we could ever put into words, and we especially enjoy hearing stories about dogs and cats who are given new life through prosthetics. Today’s story of Cola the puppy is sure to make your day feel warm and special. Cola is a 9-month-old puppy dog who suffered a tragedy that left him as double amputee. Now he’s been fitted with prosthetic legs, allowing him to walk, run, and play. 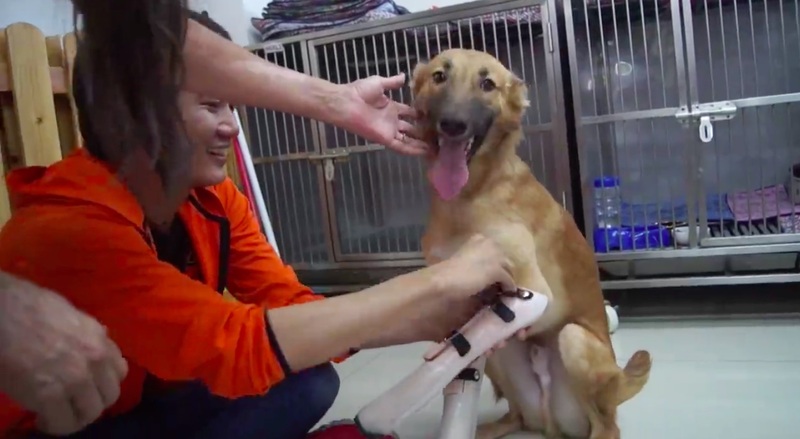 He lost his legs in horrific circumstances; they were chopped off with a sword in Thailand, by a cruel neighbor of Cola’s owner who was annoyed that Cola kept chewing on his shoes. Apparently the guy entered the owner’s property to execute this unspeakable act, and also threatened to kill the owner and her other dogs. Luckily she reported the man to the police and he was arrested (thank God). 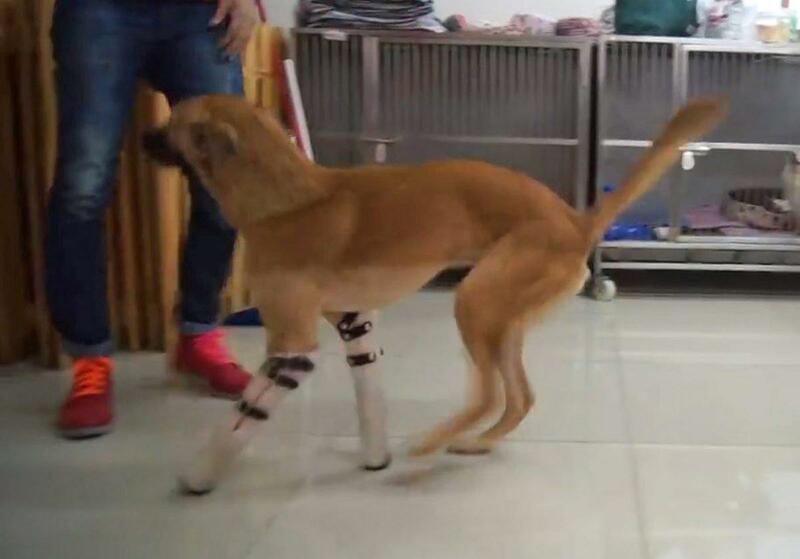 Now thanks to the Soi Dog Foundation, Cola can resume his normal doggy activities with more mobility. After having his two front legs hacked off with a sword, Cola shows the world he can rock prosthetics!Please join the Emergency Response Team today so that other dogs like Cola can be given the lives they deserve. Click here -> ert.soidog.org to join now. Dalley actually adopted Cola after his wife found a strong connection with him. She is also a double amputee. We wish Cola all the best with his new legs, and his new life with a loving family.